Muay Thai (also known as Thai Boxing) is a fighting art that originated in Thailand (formerly Siam) 2000 years ago. Its origins date back to a Warrior Art called Krabi Krabong which incorporated not only empty hands but weapons skills as well. The conditioning of Muay Thai is the basis of the style in both physically and mentally. 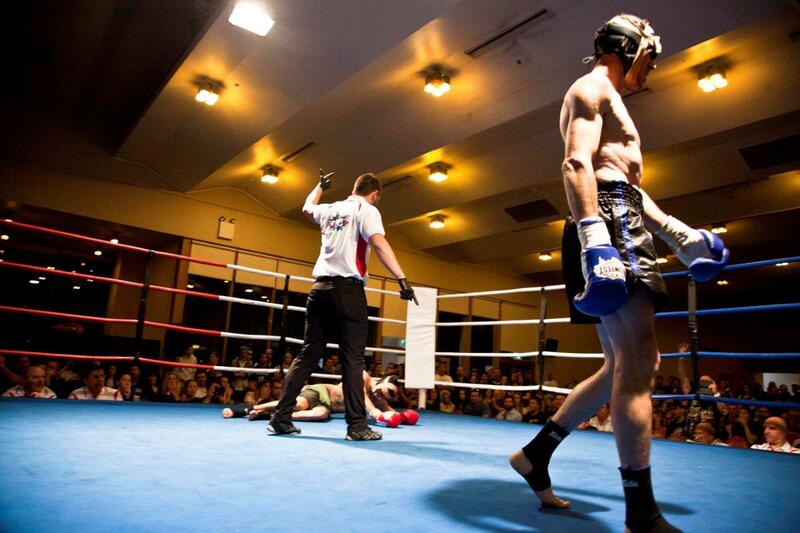 Also arguably called the “Toughest ring sport in the world” it is known for its powerful techniques of punching (boxing), elbows, knees and kicks. The Muay Thai practitioner must have superior speed and conditioning through hard training. 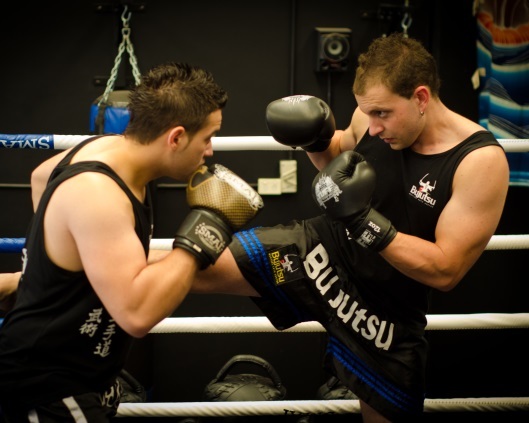 Bujutsu Martial Arts and Fitness Centre has a formal Grading System in Muay Thai. Students are first taught to defend the head, then defend the body, then defend the legs before actively working on attack. This minimises injury, and ensures students are learning all the correct basics and techniques from the beginning. Bujutsu Martial Arts and Fitness Centre provides training for everyone, regardless of whether you are interested in self defence, fitness or ring fighting. Muay Thai classes assist you to lose weight and get fit quickly, not to mention burn off stress. 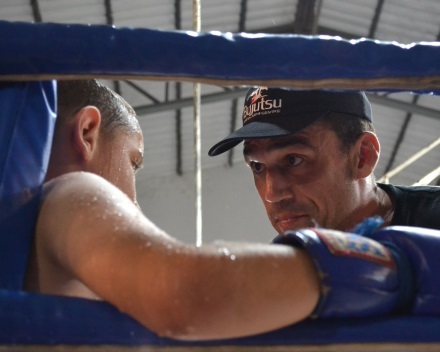 After many years of training Muay Thai under various masters, both in Thailand and Australia, Sensei Mark is one of the few Australians to earn the title of Ajarn (Muay Thai Master). 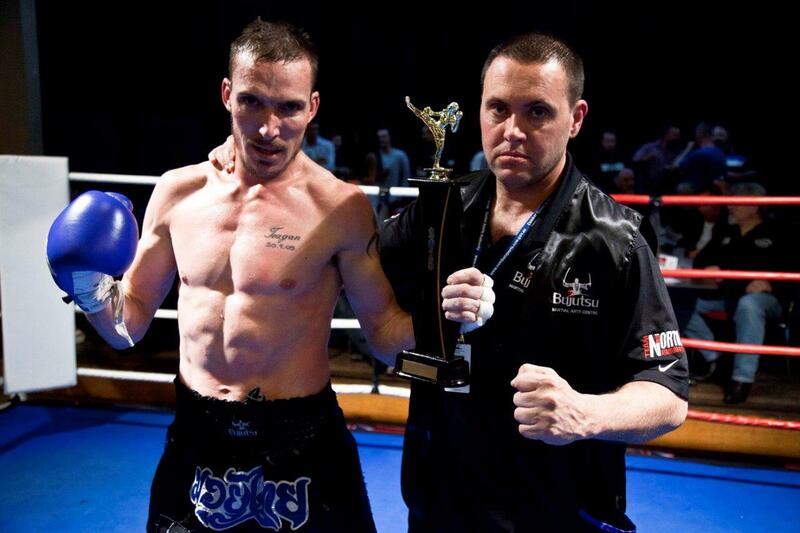 Bujutsu is proudly affiliated with Muay Thai Australia and Sri Wai Muay Thai Association from Thailand. Bujutsu Fight Club classes are run for members of Bujutsu Martial Arts and Fitness Centre that are interested in sparring and competing in tournaments. These classes are conducted in a safe family friendly environment and are designed to assist our students improve their sparring skills and to prepare for tournaments. Our Monday night class is run by Kru Todd Gale and the class focuses on Muay Thai Kick Boxing Sparring. Our Friday night class is run by Coach Daniel Geale and the class focuses on Boxing.